Welcome to the Cobblestone Hotel & Suites in Charlestown, Indiana. Our beautiful hotel is conveniently located near everything that Charlestown, Indiana has to offer including The Kentucky Derby, St Catherine Regional Hospital, Clark Memorial Medical Center, The Ohio River, Charlestown State Park, and Port of Indiana. 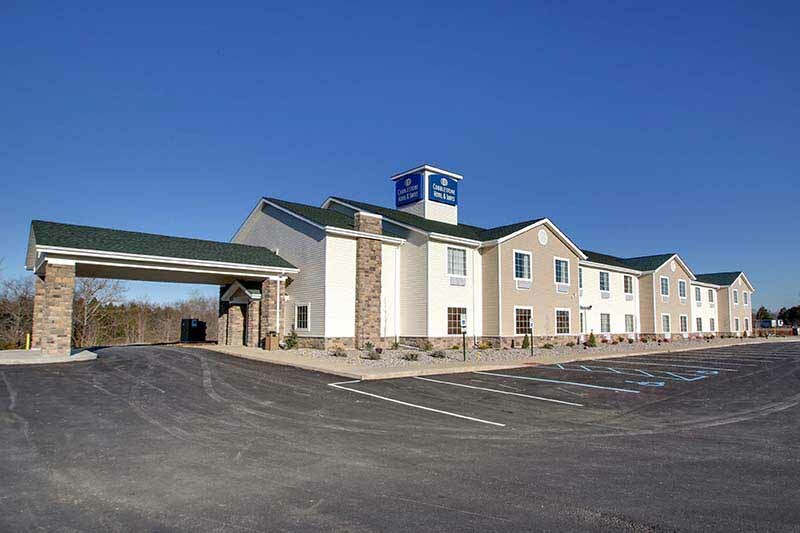 Our hotel provides easy access for traveling to and from Highway 62. Located east of Interstate 65, our hotel is within 20 miles of Louisville, Kentucky. In town for business? The Cobblestone Hotel & Suites of Charlestown, Indiana offers easy access to Amazon Fulfillment Centre, Caterpillar, Tenneco, Standard Register, Carl F Booth & Co, ASUS Technology Services, Clarcor Inc, BriovalRX, Hughes Development, and much more! In town for some fun? Check out Charlestown’s Family Activities Park, Charlestown State Park, Giggles Comedy Club, Charlestown Pizza Company, Copper Kettle, and more.